Open Access is a movement and for a movement’s impact to be felt, solidarity amongst individuals and institutions is crucial. Let our voices be louder than ever before. 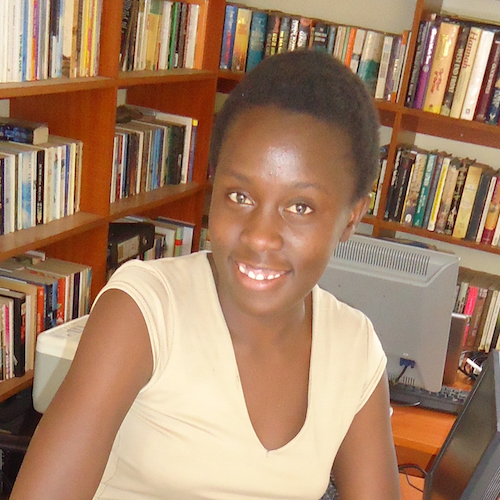 I am the OpenCon/Open Access advocate, Lilian Juma. This is about my journey as the OpenCon conference organizer in Kenya. Today also marks the beginning of me blogging on openness in research, which (along with blogging itself), is something I’d never done before. I guess there is always a first time for everything, just like how open access was Greek to me the first time I came across it. Seven months ago, I accidently came across a call for a conference application on open research that changed my life. OpenCon seeks to bring together the most capable, motivated students and early career academic professionals from around the world to advance Open Access, Open Education, and Open Data. What triggered my interest at first was its focus on research, a field I’ve always dreamed of exploring further since conducting research projects during my undergraduate studies. Although my application to attend the Belgium conference was not successful, my application to host the OpenCon Nairobi satellite event was approved. In Kenya, a majority of the population, including professors, have no idea of what Open Access (OA) is. While in school at Kenyatta University, not knowing about nor being able to access scholarly articles for my research became quite a challenge to me and my classmates. Despite the fact that the university had subscribed to some journals, we did not have access to numerous more and the lack of access to academic journals and the need for open access became a central theme for me. With many students not realizing the importance of this issue, the conference offered a platform for students to become more knowledgeable about open access. In addition, this offered an ample opportunity to discuss open access at the institutional level with various professors and professionals. To my amazement, I realized that there were some lecturers and professors who had background knowledge on OA. By meeting and sharing with individuals and institutions championing for open access, I gathered some knowledge here and there on what open access, open data and open education resources are, and jumped right in. Since obtaining official approval from the OpenCon organizing committee, I became part of the open access family. Names like OpenCon and Open Access became integral to my life, and my journey to organize for OpenCon in Nairobi began. I discussed with a few friends about it. They were supportive of the idea, but questions like “Are you serious about this?”, “How will you do this?” and “Will you benefit from it as an individual?” frequently popped up in conversations. I totally understood where these questions were coming from; there was a budget with $0.00 dollars in the account. The absurdity of the situation did not escape me. I’m planning an event with zero budget, and targeting students with very little disposable income. If you were to mention the word ‘money’ -even if it’s as little as a dollar for registration fees – you and your cameras, video recorders and microphones will have a cozy time in each other’s company, alone, on the event day. At long last, our event planning kicked off with three of my friends who, like me, had struggled to complete their research back in campus due to limited accessibility of scholarly articles. During the conference planning process, one of the greatest challenges faced was scheduling time for meetings. Due to the planning committee members’ tight work schedules, most of our meetings were virtual meetings laced with technical difficulties and poor internet connectivity. This made conference planning even harder. The irony of the situation was not lost on us; internet connection is one of the elements and cornerstone to successfully advocate for open access anywhere, which sadly, became a major challenge during conference planning process. Our desire for a country and population knowledgeable about Open Access, Open Data (OD) and Open Educational Resources (OER) surpassed obstacles that were thrown ahead of us. This is the vision I believed in, and was confident that I had enough knowledge from my own experiences of what the lack of openness looked like to champion for the world I wanted to live in. Secondly, there was difficulty explaining the nuances of why open access mattered to the team. I had to do this over and over again for them to grasp open access concepts. The complexity and technicality of the concepts made it hard for a person to immediately conceptualize. With low cohesiveness and commitment among the planning team members, few people showing up to meetings and the greatest difficulty of all was juggling OpenCon with my other responsibilities. I eventually had to quit my job as a landscaper to see through a successful conference. While organizing for OpenCon, one of the main frustrations apart from the lack of finances was the disparity in communications and assistance from institutions within Kenya. External institutions championing for open access were quick to communicate and assist, linking me to different institutions and individuals across the country that were a great help during conference planning. However, institutions championing for openness in research within Kenya were slow to communicate and offer assistance. It can be quite demoralizing to keep the fire burning when you have limited support at home, no matter how much support you may receive from abroad. Furthermore, advocating for open access in public policy is an uphill battle. How do you advocate for open access policy measures when the population is not even informed about the importance of access to research for development? These are questions I continue to struggle with, but remain committed to advancing. Planning the conference was quite challenging, taking a toll on me mentally and physically. Half way through, I almost gave up. I told my planning committee that I foresaw myself succumbing to ulcers before we ever got to complete a successful conference. Nonetheless, with motivation and inspiration from the people around me, I was able to overcome the hurdles. A few months into planning for the conference, I met and was inspired by individuals in the research and development field who have been championing for OA for years. With my existing knowledge, I became both a learner and a teacher on OA while organizing my event. We talked about state of OA, OD and OERs in Kenya, the future of openness in Kenya, tools in open access and need for streamlining OA, OD and OERs with Sustainable Development Goals (SDGs). At the end of the conference, attendees shared their experiences on how difficult it is to carry out research and were grateful for the platform offered by the conference. People came together from different development sectors in Kenya, all in agreement that advocating for open access is crucial to the country’s transformation for greater accessibility and availability of online scholarly articles. Attendees were surprised that the conference was planned with zero budget, but had such enlightening content. 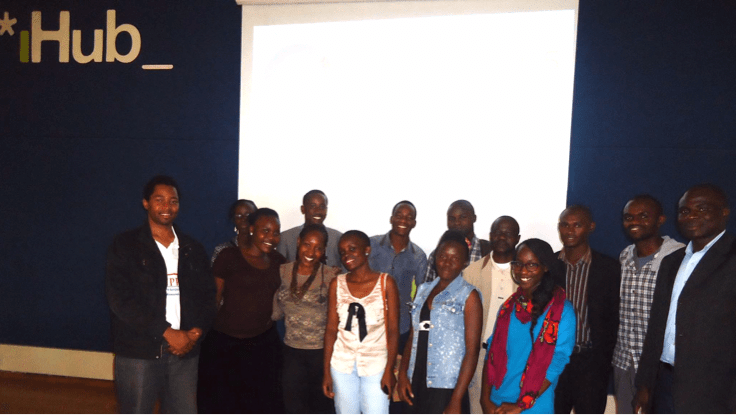 As an additional bonus – I only had headaches for a week after OpenCon Nairobi ended! Great start for a girl to whom OA was still a foreign concept just a year prior! Fast forward to today. I and my team are working on the post conference transition, which includes a chain of initiatives targeting undergraduate, Masters and PhD students’ clubs and associations as well as non-governmental organizations and government departments. Most students in Kenya and the larger population do not fully appreciate research. My reason for engaging these groups is that the majority of these people are actively involved in research, and have the potential to share their research to facilitate faster scientific discoveries regarding Kenya’s challenges – putting in practice the motto “for Kenya by Kenyans.” In addition, I have been able to meet and discuss issues on the state of open access with most of the institutions which I had previously contacted for OpenCon Nairobi. We have discussed topics like advocating for open access in Kenya, to which they had all agreed. Solidarity in championing for openness in research is key when pushing for formulation and implementation of national policy on open access. Together we stand, divided we fall. These institutions include but are not limited to: iHub Kenya (Social innovation pre-incubator); Progressive Volunteers (Community Based Organization; voice of community); Africa Research Journal in Education and Social Sciences (publisher) which supported us during planning of the conference, conference venue sponsorship, marketing the event and speakers for the day; and individuals including Anthony Wanjohi, Founder of ARJESS; Meggie Mwoka, Head of Kenya Medical Students Association; Barbara Odac, one of the student pioneers of OA at Kenyatta University; and Jeremiah Mzee, Progressive Volunteers Chairman as a community representative. With their support, the first OpenCon conference in Nairobi was a success. We hope to work collaboratively on upcoming projects with additional institutions including: Collaborative Alliance for Excellence of Science in Africa, Africa Academy of Sciences, Kenya Library Information and Service Consortium. It has been two months since I hosted the event. I was not sure what would follow after the conference ended, but lessons learned and knowledge gained from great people I met while planning for OpenCon Nairobi have opened my eyes. I feel elated at the thought of numerous initiatives that will transform Kenya as a population: group video discussions on OA, OD and OERs in relation to SDGs shared via podcast and other social media outlets; workshops and trainings on Openness in research targeting higher education institutions (students’ clubs and associations); increased awareness of students on access issues in research and increase in number of students sharing their research work online to avert research hidden behind firewalls for faster development and new discoveries; and government reports as well as reports from university shared online for free accessibility and availability. However, sponsorship of these initiatives will bring about the potential transformation in Kenya’s R & D landscape that I know is achievable. My journey as an advocate in advancing OA, OD and open education in Kenya and the region continues as I aspire to demystifying myths in open access, one person at a time. Organizing OpenCon 2015 Nairobi was wearisome, but the support I received from individuals and institutions made the journey fun despite the challenges. Appreciation and love goes to OpenCon Organization and Annie Liang for unceasing support pre- and post- conference. I’m also thankful to the planning committee members (group of all ladies! ): Winfred Omondi and Judith Siambe. The journey continues! Lillian Juma is a planner, environmentalist, and researcher who has recently developed passion in landscape planning and design. She works on participation as a tool for engagement, advocacy, skill building and social innovation. As a planner, researcher and environmetalist I am reallly excited about this, I am officially in.